The Guru becomes the lord of 2nd and the 11th house for the Kumbha Rasi (Aquarius Sign) natives. Both the 2nd and the 11th house is considered as neutral to the Kumbha Rasi (Aquarius Sign). Hence the Guru becomes moderately benefice to the Kumbha Rasi (Aquarius Sign) by owning both the benefice houses. Thus, the impact on the life of Kumbha Rasi (Aquarius Sign) natives through the Guru’s transit into various zodiac sign could be accessed by taking into consideration of Guru’s location/position; and its strength in the Binnashtagavargha for the Kumbha Rasi (Aquarius Sign) natives. The Guru will transit into Libra Sign (Thula Rasi) from the Kanya Rasi (Virgo Sign) for the next 1-year period (approximately). The Guru will transit into Libra Sign on 02.09.2017 as per the “Vakkiya Panchangam”; and into Libra Sign on 12.09.2017 as per the “Thirkkanitha Panchangam”. The “Vakkiya Panchangam” is the Panchangam that has been followed traditionally by the temples and spiritual bodies in India @ the calculations are more centric towards India. The “Thirukkanitha Panchangam” are the corrected version of the “Vakkiya Panchangam” which had been completely synchronized with the present day “English Calendar” @ the calculations could be used in any part of the world using the details of latitude & longitude and time zone details. The Guru would transit into Libra sign (Thula Rasi) from Kanya Rasi (Libra Sign) on 12.09.2017. The Guru would exit the Libra Sign (Thula Rasi) and enters Scorpio Sign (Viruchika Rasi) on 11.10.2018. The Guru would be positioned in the 9th house, Thula Rasi for the next one year. The 9th house, Thula Rasi is owned by the Venus; and it is considered to be the neutral place for the Kumbha Rasi (Aquarius Sign) natives. Thus, the Guru would be positioning itself in a zodiac sign, which offers a comfortable stay during its current transit into the Thula Rasi (Libra Sign). 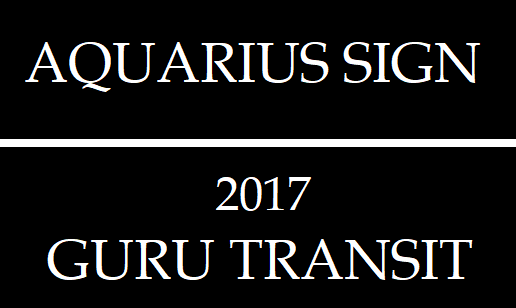 Let us see the probable results of Guru’s transit into Thula Rasi (Libra Sign) on the life of Kumbha Rasi (Aquarius Sign) natives for the next 1-year period. The Kumbha Rasi (Aquarius Sign) natives would remain comfortable with their income related issues; and are capable of earning significant level of income, if the Guru remains stronger in the Ashtakavargha. The Kumbha Rasi (Aquarius Sign) natives would be able to get back their money (or) would be able to collect all their payments, only if the Guru gets stronger in the Ashtakavargha. The Kumbha Rasi (Aquarius Sign) natives would speak nicely (or) communicate in a diplomatic manner (or) make positive communications. The Kumbha Rasi (Aquarius Sign) natives would remain comfortable with their dieting plans; and would eat less (if the Guru remains weaker in the Ashtakavargha); (or) eat heavily (if the Guru remains stronger in the Ashtakavargha). The Kumbha Rasi (Aquarius Sign) natives would add joy to their family relationships; through their extended family members. The Kumbha Rasi (Aquarius Sign) natives would involve more in social & spiritual related activities; mainly with their family relationships. The Kumbha Rasi (Aquarius Sign) natives would develop multiple thoughts/dreams/plans running in a concurrent manner; and could speak out everything that is within their mind. The Kumbha Rasi (Aquarius Sign) natives would boost their income and financial position by utilizing their skills, talents and knowledge. The Kumbha Rasi (Aquarius Sign) natives would enjoy profitable relationship with their clients/customers. The Kumbha Rasi (Aquarius Sign) natives would be able to build good customer base. The Kumbha Rasi (Aquarius Sign) natives would face delays on getting their payments; (or) setback with their investments. The Kumbha Rasi (Aquarius Sign) natives would be freeze on their financial position (or) face stalemate with their financial issues. The Kumbha Rasi (Aquarius Sign) natives would experience unresponsive interactions with their family members. The Kumbha Rasi (Aquarius Sign) natives would face irregular payments (or) unpredictable results arising out of their investments. 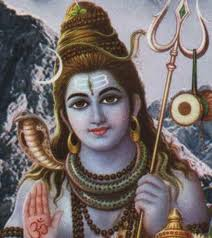 The Kumbha Rasi (Aquarius Sign) natives would remain confused with their family issues. The Kumbha Rasi (Aquarius Sign) natives would face volatility on their financial matters. 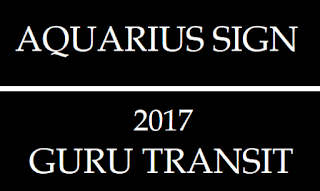 How to read the Guru Peyarchi (Guru transit) results? 1. You must understand that everyone's Mahadasa will have more impact in their life @ if a person goes through an excellent Mahadasa period, his/her life would remain very comfortable, despite the unfavorable results mentioned under the Guru and/or Shani transits. The results derived from the Mahadasa period will have 50% impact on your life either in the positive or in the negative direction. 2. The next important factor is everyone's Antardasa period; it will have an impact on the natives life next only to the Mahadasa results @ the Mahadasa period will have 50% impact in our life and the Antardasa period will have an 30% impact on our life. 3. The Pratyantaradasa results are also important, if the Pratynataradasa period will last for more than 2 months. In that case, we must take into account of the results derived from Pratyantaradasa period. 4. Then you must also take it into account of the results under the transits of all 7 planets (Sun, Moon , Mars, Mercury, Guru, Venus and Shani). Here the Shani transits a single zodiac sign for 2 1/2 years, Guru (1 year), Sun, Mercury and Venus (1 month), Mars (1 1/2 months) and Moon (2 1/4 days). Hence the transit results of Shani and Guru will have an more impact in our life, because of their longer durations. But the transit results of Mars, Mercury, Venus, Sun and Moon are also very vital in calculating the nature of lifestyle that we can expect for the future. Thus the transit results of all the 7 planets will also have an 20% impact on our life on collective basis. 5. Due to the longer duration of Shani transits for 2 1/2 years, it will have an impact of 10% in our life either in the positive direction or in the negative directions. 6. Similar manner, the transit results of Guru will also bring 5% impact in our life either in the positive or in the negative directions. 7. The remaining 5 planets @ Sun, Moon, Mars, Mercury and Venus will have an impact of 5% impact on our life on collective basis. 8. You must understand that the Guru transit results or Shani transit results or all other planet's transit results must be read based both on your Moon sign and also on your Sun sign. For example: If your Moon sign is Kumba Rasi (Aquarius sign) and your Sun sign is Meena Rasi (Pisces sign), then you must look at the transit results both under the Kumba Rasi (Aquarius sign) and also under the Meena Rasi (Pisces sign). You would defienetly experience the impact of the results that are mentioned both under the Kumba Rasi (Aquarius sign) and the Meena Rasi (Pisces sign). 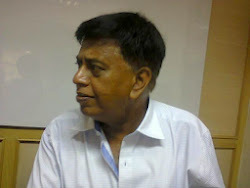 For details on Pariharam for Guru, please visit Guru Pariharam (Remedial Measures). There are number of simple methods are advised. You can choose anyone or combination of any methods (that are available). But the period of Pariharam must be longer than 9 weeks and must be done in a consistent manner to enjoy better results. Guru Ashtakavarga strength: How to calculate Guru Ashtakavarga strength?